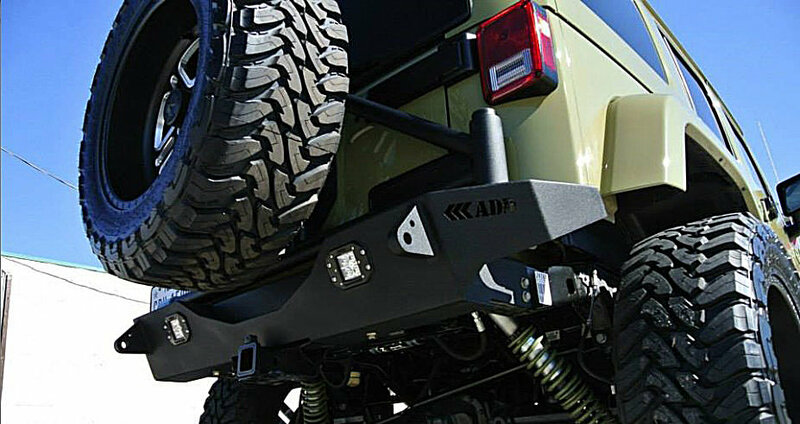 The Jeep JK Stealth Fighter front bumper system allows you to create a bumper that suits your lifestyle. The A.D.D. 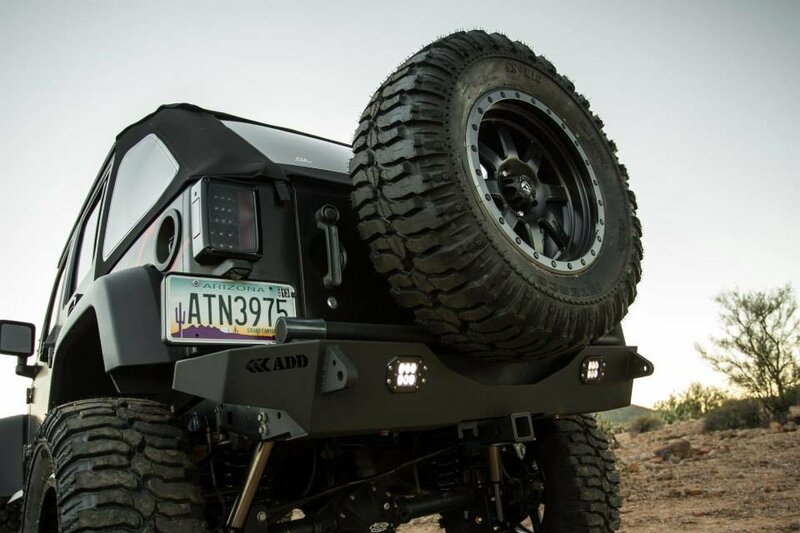 Stealth Fighter Rear Bumper is a mix of style, function and flexibility. Designed to compliment our entire line of Stealth Fighter Products, it is engineered for strength and durability, plus with the many options available it is flexible enough to make it your own! Flexible options include Choice of Powdercoating, With or Without cutout for tow hitch and your choice of adding light mounts for Rigid Flush Mount Dual/D2's.